Index weightings under-represent the importance of China and India, according to Gavin Ralston, head of official institutions and thought leadership at global investment manager Schroders. In his view, global indices do not capture the full breadth of opportunities in both these countries. "The opportunity for active management is significantly greater than average. "China, and to a lesser extent India, are increasingly being identified as separate asset classes," he said at the recent annual Schroders Investment Symposium in Cape Town. "A big question mark could be why an economy, which has been growing so fast, has not delivered so much stock market growth - like in China." China accounts for about 15% of the gross domestic product (GDP) in the world, but its stock market is estimated to represent only about 3.7% of the global market capitalisation. 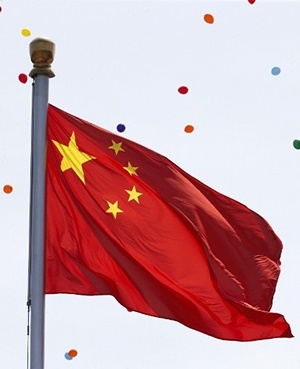 "The majority of China's exposure is still in offshore companies. Onshore Chinese equities have a low correlation with global markets," said Ralston. "China is very complex - that is its main feature." In answer to a question from the audience, Ralston said Schroders believes the Chinese currency is over-valued and that Chinese authorities must exercise caution. "In the longer term, we expect the Chinese currency will at least be stable relative to the US dollar," said Ralston. Looking forward, he is of the view that China has less room for economic stimulus. "It used up a lot of its stimulus ammunition, so it does not have the ammunition for significant stimulus like in 2009," he commented. In response to another question, he said millennials are becoming more important in China. "There are about 330 million millennials in China. A lot of their taste in brands are shifting from global luxury brands to local brands. That is where we find a lot of value - in local Chinese companies gaining share over their international counterparts," said Ralston. "There are signs that the fundamental investment disciplines and classic value tools are beginning to make themselves felt in China." As for India, he said the country does not have the same issues of complexity as China, but there are 4 500 companies listed on the India stock exchange. "We find a flourishing SME sector in India, which is missed by global indices," said Ralston. "India is lot poorer than China but it has some characteristics similar to China, which we think will make it worth having a separate allocation in future."